Noel Hunt has ended an unhappy spell at Leeds United by agreeing to terminate the rest of his contract. The Republic of Ireland international parted company with Leeds today, six months before his deal was due to expire. Hunt signed a two-year contract when he joined United on a free transfer from Reading in 2013 and his early departure ends a frustrating career in West Yorkshire. The 32-year-old struggled to find his form at Elland Road and he leaves Leeds having failed to score a single goal in 22 first-team appearances. His last outing for the club came in a League Cup first-round tie against Accrington Stanley in August. He finished 2014 on loan at Ipswich Town - a short-term move which ended last week - and the severance of his United deal clears the way for the forward to find a new club. Hunt was originally signed by Brian McDermott, arriving from Reading ahead of the 2013-14 season, but his goalless streak attracted criticism from United’s support. 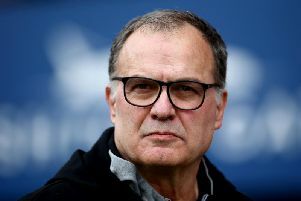 His salary also came under scrutiny after current Leeds owner Massimo Cellino claimed that the striker was earning £25,000 a week at Elland Road. Cellino’s comments were made prior to his takeover of United, in a phone conversation recorded without his knowledge and later made public. Hunt’s wage was considerably less than the stated figure and Cellino is believed to have been referring to Jimmy Kebe, the former Leeds winger who was on loan at Elland Road from Crystal Palace at the time. Speaking last month, Ipswich manager Mick McCarthy accused Cellino of damaging Hunt’s standing at Leeds, saying: “Part of the reason (why Hunt wasn’t playing) might be that somebody announced he’s on 25 grand and he can’t walk down the street because they (the supporters) turn on him.